Is under maintenance. To everyone following the channel from your countries, sorry that you couldn't hear us. Aahaa Kaapi Klub had a pretty explosive week I must say. Wish you could have listened in. how to imporve sanitation etc. god work, keep going, al the very best. seems u r very relaxed from airtel super singer stress. I am MOVED heavily at the plight of the differently-abled people. Naan kadavul was a stark reminder of the plight of these people. Also was your discussion on Tuesday. Can you do another topic this week, on plight of disabled people ?. Will surely help us improve our social consciousness. I am located in US and I am a big fan of aahaa fm. I am keep checking their website everyday. Do you know when it will be live again ? Hi This Arunkumar from Muscat. Your show Aahaa Kaapi Club is awesome. My husband is a regular fan of it.And because of him,I started listening to that too :).I initially was very much disinterested as I hate radio shows where only same useless talks will go on like"from where are u calling?what do u do?Ur voice is so sweet? ".But I liked the way you present with so much preparation involved.No nonsense part of it is my favorite ;-). Both of us are missing it.When shall the server be up?Do intimate it in ur blog. chinmayi, this is more for the aahaafm radio team.. it is very frustating to not even know what is happening with aahaafm online..they could atleast post some information as to when it is expected, whether it is going to be a paid site, etc.. These frustrations will only make users hate aahaafm.. This is a big group from UK, just getting frustrated checking on all websites for aahaa fm. Chinmayi please atleast let us know when it will be live again. Hey priya, how are you able to listen to aaha fm on internet..? can you pass on the web address you use..? 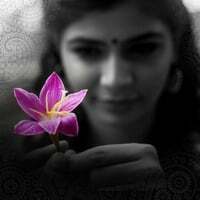 Chinmayi..I dono abruptly y u stopped ur RJ part and also is there any plan to continue as an RJ in future...?? ?